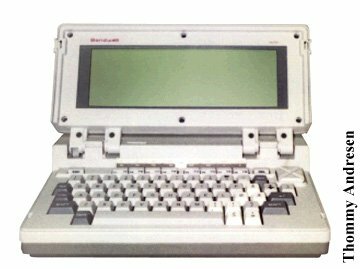 This model (the B2) is the second of eight models of the worldss first laptops. 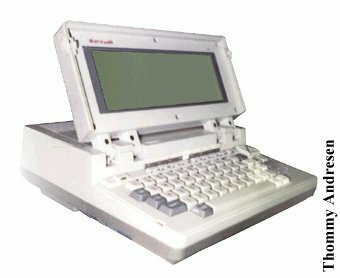 The specs are 64k RAM, 3 1/2" floppy of about 120k (I'm not sure), 24x80 digits display (a lousy one). It has a 9 pin, standard RS232C serialport (if RS232 was a stable standard back then) a port for an additional discdrive and a printer port. BTW. Can anyone tell me how to connect this to my Mac II si? Click here to view all comments for the Bondwell B2 and to leave your own. Click here to view comments about other Bondwell computers.